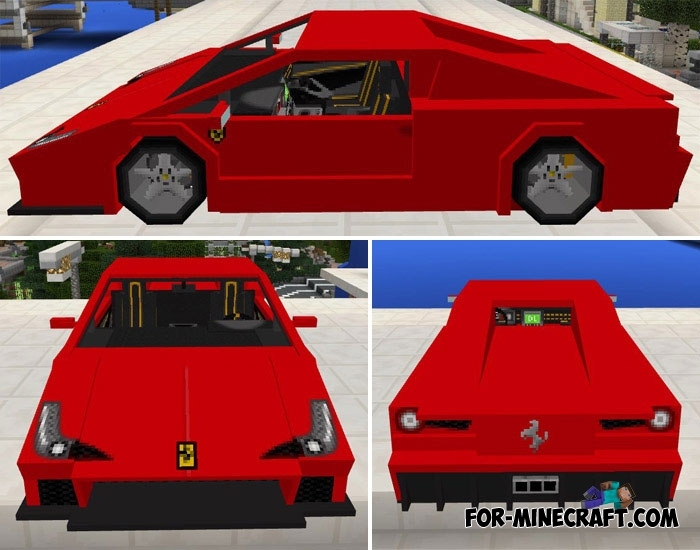 There are many sports cars that can be yours if you install the Lamborghini addon for example. If you are not a Lamborghini fan, then you will definitely like this car. It refers to sports and very spectacular cars that are very popular for several decades to this day. Ferrari is a legendary car manufacturer that is known to the whole world, almost everyone has heard of it. 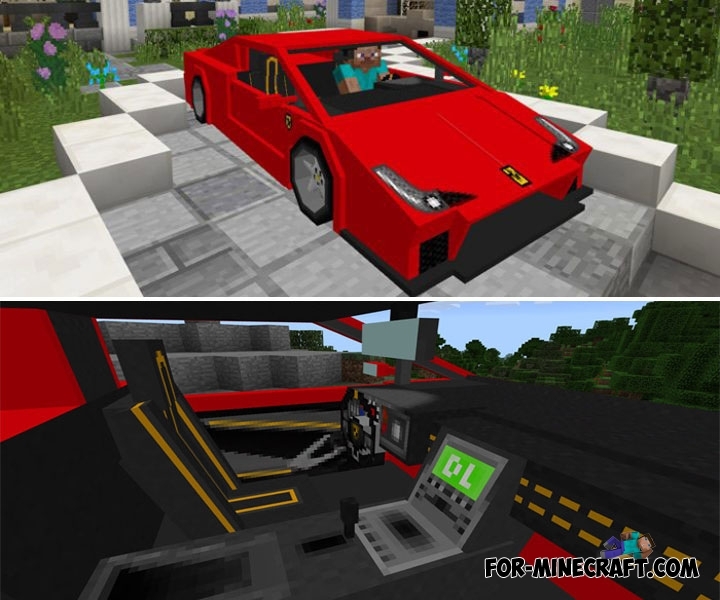 Who would have thought, this addon adds one copy of the car. You can forget about real horses, your red iron horse will replace any animal with four legs. In addition to the beautiful appearance of the car, it has a trunk and a detailed interior. Driving is no different from previous cars, you still need a carrot on a stick used as a key. Ferrari does not consume fuel, so each trip can last several hours. Prepare a garage or parking near your house, this car deserves attention. Iron Horse addon (MCPE 1.1.0.1)Iron Horse addon is a small addition that does not affect the complexity of the game. You just get a new improved horse that is several times..